This route is perfect for cycling, walking or on horseback linking the seaside area and it’s associated hotels with our historic village. This track, of approximately 3 Km, passes through the orchards and gardens of Las Huertas and takes us towards our destination of Mojácar Pueblo. As we pass the mouth of the Rio Aguas we can see various waterfowl and other aquatic species as well as some quite rare amphibians. 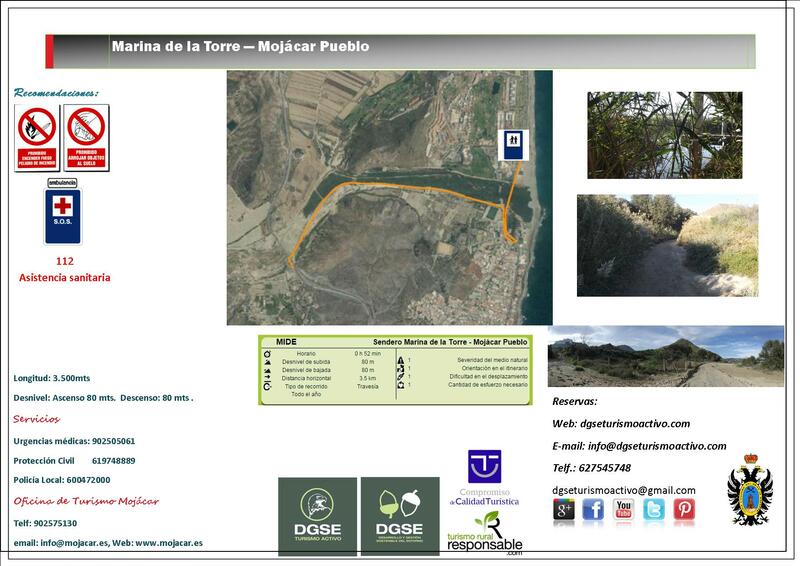 A lineal path that joins a busy area of hotels and a golf course, with the old town of Mojácar. It is ideal for walking, cycling or even riding for approximately 3 km. 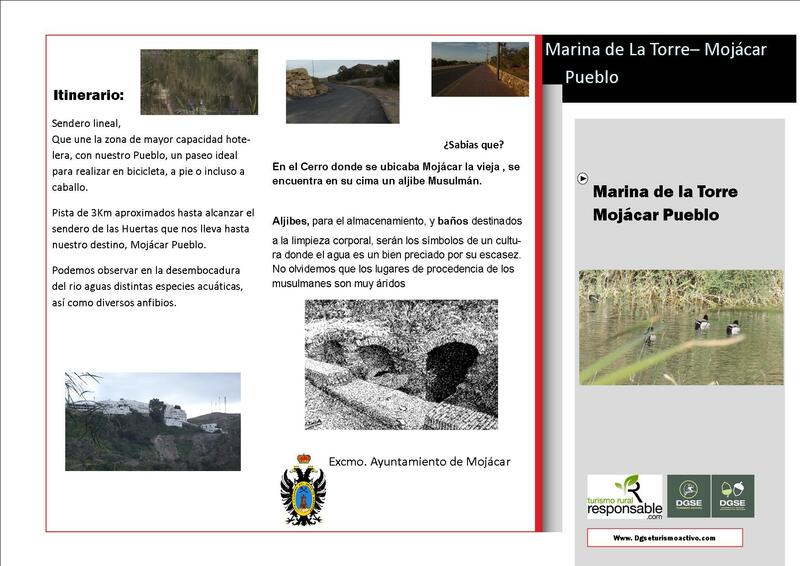 until it reaches the Las Huertas path, which takes you to your destination of Mojácar Pueblo. At the mouth of the Rio Aguas, you can often see many different aquatic species, as well as various amphibians. The Rio Aguas is the main outlet of runoff water from the limestone area of Sorbas, a protected semi-desert natural site, under which rainwater has created a maze of caves and underground caverns at different levels. The limestone acts like a sponge, absorbing water from the rain to form various natural springs, such as Los Molinos, in the Rio Aguas canyon. The environment of the Rio Aguas is a wetland, in the middle of an arid desert area, full of vegetation (oleanders, willows, reeds and white poplars), where many birds and tortugas moras (black tortoises)live. The river flows into the lagoon at Mojácar’s Rumina beach.